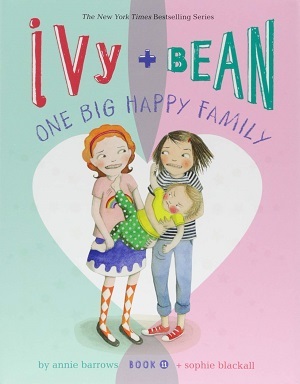 A brand new pairing, Polly Faber’s debut writing is accompanied by Clara Vulliamy’s experienced illustrations. 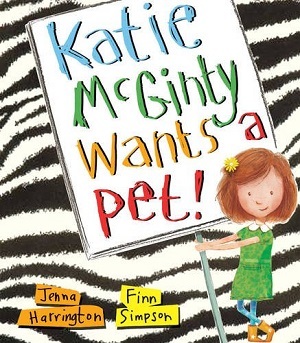 This exquisitely packaged book tells four delightful stories about Mango Allsorts, a girl who discovers a lost tapir and adopts him as her pet. The first page introduces (through words and pictures) the main characters in the story, and the first story explains how Mango met Bambang. 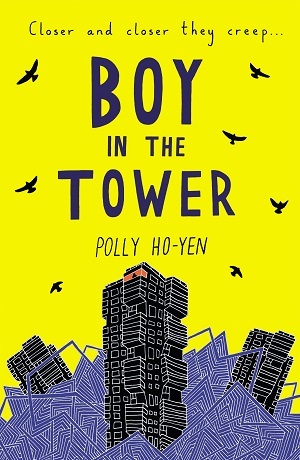 The writing is simple and effective, and plays beautifully with the English language – explaining such things as how Mango’s papa spends his time ‘balancing books’. Polly Faber describes how Mango herself is good at all sorts of things (hence her name) but that wasn’t the same as being a good girl. 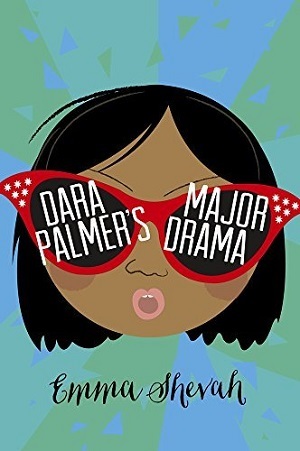 The phrasing is enticing and winsome and the reader can bask with enjoyment at the wordplay. 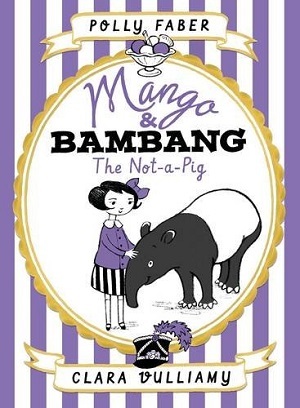 The illustrations play the same game – a simple two tone purple and black in colour, yet massively effective – the purple stripes of the opening pages contrasting with the black and white stripes of the zebra crossing where Mango meets a camouflaged Bambang, and then also complementing the stripes of Mango’s clothing. Clara’s pictures of the settings – eg, Mango’s city, the street traffic scene, etc, build a world around Polly’s words and the two mesh beautifully together to form a complete story. There is much to pore over. 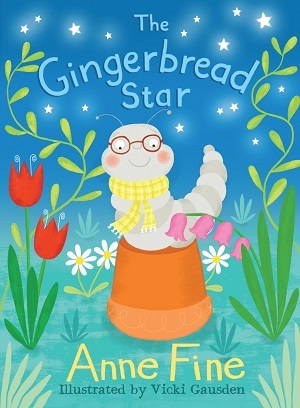 The stories are gentle – about kindness and friendship – the two characters complementing each other in a reflection of the pairing of author/illustrator. There is also a peacefulness that emanates from the book – childhood as a time for wonder and playfulness, as opposed to the busy world of the adults. 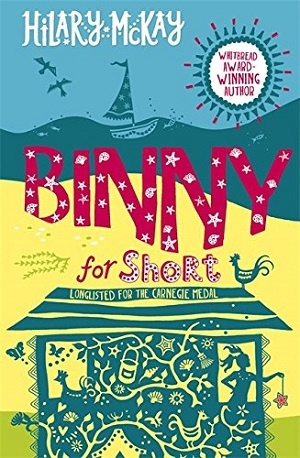 The book feels very global, there is a real mix of dress, modes of transport, foodstuffs – and as in all good children’s literature there is a fair mention of food – banana pancakes in particular here. The other three stories involve a swimming pool, fabulous hats, and singing. It speaks to the inner child in everyone, and will enchant all newly independent readers. A lovely addition to books for this age group (6+). To purchase, click here. This fabulous pairing can do no wrong at the moment. Following the huge success of Cakes in Space and Oliver and the Seawigs, comes my favourite so far. Pugs of the Frozen North is ‘Wacky Races on ice’. Shen and Sika enter the once in a lifetime race in True Winter to be the first to the North pole to see the Snowfather who grants wishes. Their sled is pulled by sixty-six pugs, who have been rescued from a shipwreck. It’s fantastical, magical and silly, with great charm. 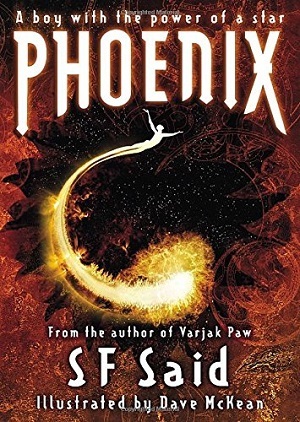 Reeve’s writing prose is a cut above – the plot races in time to the sled, the language is bewitching – a mass of alliteration throughout the novel using the letter ‘s’ – from the names of the children, Shen and Sika, to those of the polar bears, Snowdrop and Slushpuppy, to the number of pugs, ‘sixty-six’, to words associated with sleds and snow – ‘silvering of light’, ‘statues’, ‘slush’ and ‘snowmen’, not to mention the fifty types of snow – ‘screechsnow’, ‘shrinksnow’, ‘stonesnow’, ‘songsnow’…and made up words to describe the movement of the sled across the ice – ‘skreeling’. He isn’t afraid to use new language and to increase a young child’s vocabulary, and it’s all done to fit perfectly with the story. Of course the humour shines through in abundance too. There are self-references to the Seawigs book, the yeti’s noodle bar instead of spaghetti (they wanted to avoid the obvious), and the camaraderie with the reader: “…looked very yeti-ish…you know the type of thing.” But the humour really shines with Sarah McIntyre’s fundamental illustrations. Sarah always shows how the story can be told through illustration, not just through text. We learn of the Chief Marshal’s mistake with the hot air balloon through the hilarious illustrated pages before it appears in the text, we are told through pictures only of the other racers’ mishaps (spot the selfie stick – it’s hugely comical), and of course the numerous wonderful drawings of 66 pugs. Particularly wonderful were those of the pugs warming in Helga’s beard, yipping at the Snowfather, and the endpapers with their names (look out for ‘Not-a-Pug’). Children will adore this book – there is no let up in the pace: Shen, our main character, shows depth of character and thought – especially his anxiety about being disappointed at the end of the race, and the illustrations delight and amuse constantly. There’s a great use of landscape here too – from the types of snow, to the uses of it, and the Northern Lights. Read it, if only to find out what the Po of Ice is! 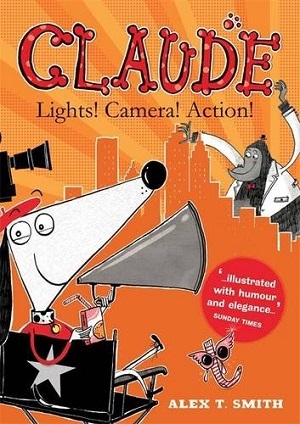 This is a gem, all children aged 6+ will adore it and all parents will find it funny. Read it with your child so as not to miss out! Click here to purchase from Waterstones. 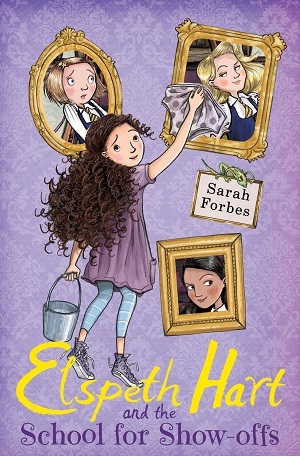 From the team behind the Fairytale Hairdresser comes a new series for slightly older readers. 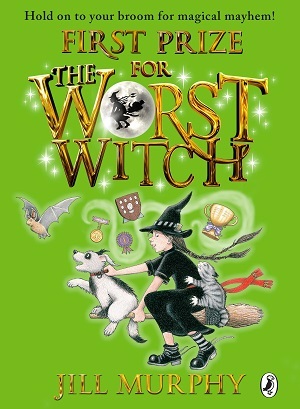 Although not afforded quite the same packaging as the two titles above, The Magic Potions Shop is a great stepping stone for newly independent readers – black and white illustrations on every page accompany large text that utilises italics, bold, and font changes to highlight particular words and phrases. 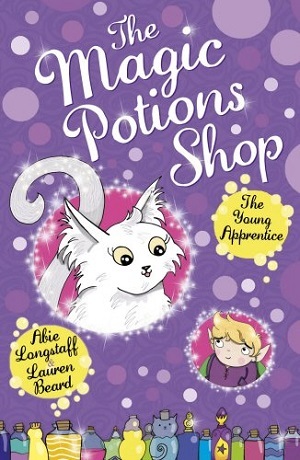 The book tells the story of Tibben, apprentice to the Potions Master, who is trying hard to gain ‘glints’ on his robe, which will afford him the qualifications to become the next Potions Master. He starts the book by being rather inept, but through endeavour and bravery gradually earns his skill. The book is reminiscent of The Enchanted Wood by Enid Blyton, packed with mermaids, trolls, elves and sprites – and tells a typical adventure story complete with long journey (a map at the beginning shows the way), and magical happenings in the Kingdom of Arthwen. The vocabulary is largely accessible. Lauren’s illustrations don’t push the story along in the same way as in the titles above, but they do provide an extra layer of detail not given in the text. There’s a lovely section at the back detailing ingredients and potions – which will delight children. 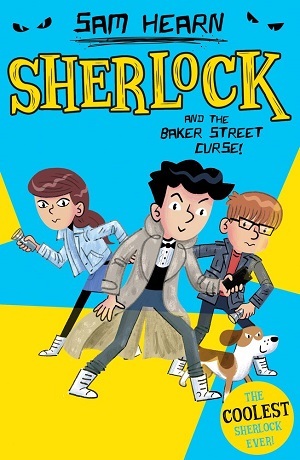 My only gripe is that the cover artwork for books one and two is tending towards being gender specific – whereas this is a series that could lend itself to being read by all. 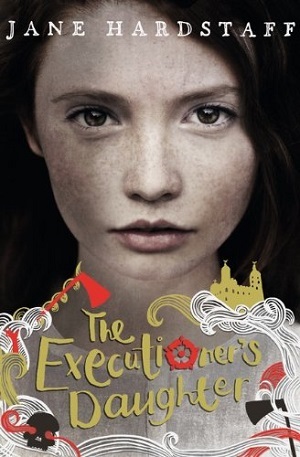 A good first reader though – I can see children devouring this new series. Buy it here. So it seems fitting to talk about pictures the day after illustrator Chris Riddell was named the new Children’s Laureate, replacing the esteemed Malorie Blackman. 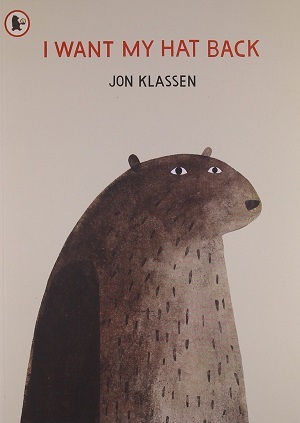 No one who works or associates with anyone in the field of children’s publishing can be unaware that there is an ever-growing penchant for text to be accompanied by pictures in today’s children’s books. 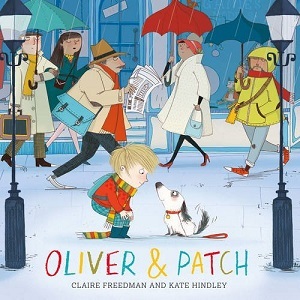 Although there are lots who will argue that pictures have always been essential in children’s books – I’m not denying it – there seem to be an ever-increasing number of books for children that heavily feature images to partner words. 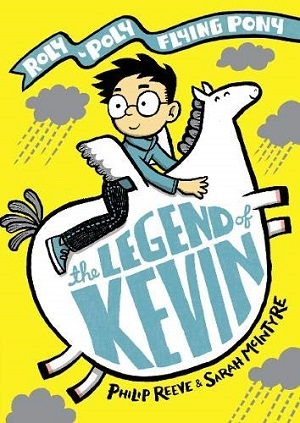 The Diary of a Wimpy Kid series by Jeff Kinney with its comic drawings first published in 2007, won the Blue Peter Book Award in 2012, and regularly tops the bestseller charts. 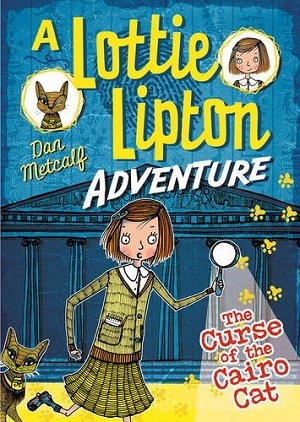 The Tom Gates series by Liz Pichon, complete with doodles and drawings, was our side of the pond’s offering, and published in 2011 to huge acclaim. 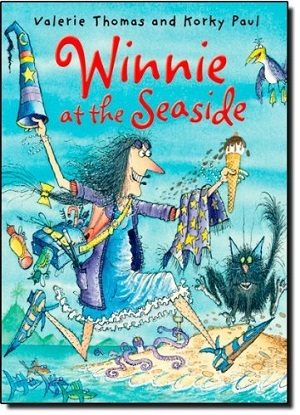 It won the Roald Dahl Funny Prize, a Red House Children’s Book Prize, Waterstones Prize, and also a Blue Peter Prize. Hot on the heels of that came Timmy Failure by Stephen Pastis, another US offering. For younger children, the illustrations came thick and fast. 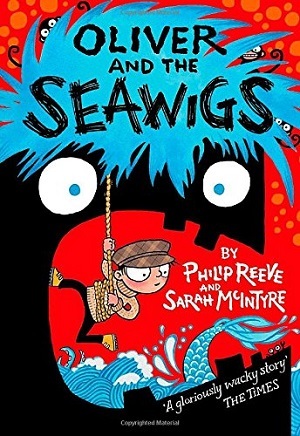 Cakes in Space and Oliver and the Seawigs by Philip Reeve and illustrated by Sarah McIntyre showed everyone what they could achieve in a chapter book rather than a picture book. 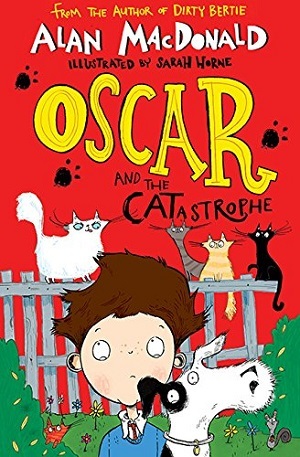 Chris Riddell’s own Ottoline and Goth Girl series highlight the wonderfulness of his incredibly detailed illustrations, and more and more middle grade titles are starting to increase the number of illustrations within, such as Demolition Dad by Phil Earle, illustrated by Sara Ogilvie. However, many parents don’t quite share the twitterati’s enthusiasm for highly illustrated chapter books. They decry that although the books are lovely, they tend to be released in hardback first, with a steeper price point, and that their children read them in one sitting. The nice but expensive problem of the one book a day child! So what are the pictures doing there? Just when your children had started to read independently, and with some vigour, why are they choosing books that are doodled on, illustrated and filled with drawings? Although you want the children to love reading, you also want them to increase their vocabulary, gain better comprehension skills, and expand their grammatical prowess. How do they do this by looking at pictures? Here’s how. 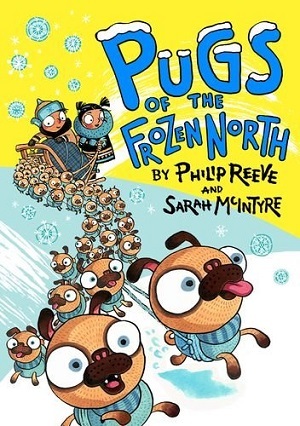 Let’s take two books – Ottoline and the Yellow Cat by Chris Riddell (the first in the wonderful Ottoline series) and Oliver and the Seawigs by Philip Reeve and Sarah McIntyre (look out also for their soon to come Pugs of the Frozen North). 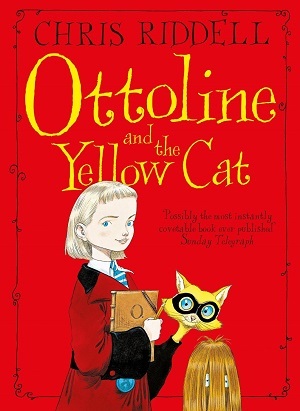 Ottoline and the Yellow Cat introduces Ottoline, who lives with Mr Monroe because her parents are away travelling around the world. 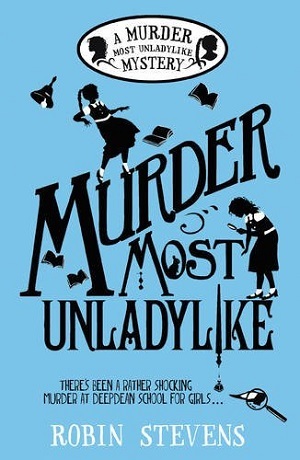 She lives in a very particular way, excels at disguises, and solves incredibly exciting mysteries. Her stories are punctuated by postcards arriving from her parents who are themselves having far flung adventures collecting magnificent things. You can purchase it here or on the Amazon sidebar. Oliver and the Seawigs is about a boy called Oliver, whose parents are explorers. Just when they all decide to settle down, Oliver’s biggest adventure begins. With the help of an albatross, a short-sighted mermaid called Iris, and an island that’s alive, Oliver goes in search of his missing parents. He hadn’t warranted on the sea wig competition or the sea monkeys getting in his way though. You can purchase it here or on the Amazon sidebar. Pictures help to set the scene. No child wants to read a long rambling description of a place before the story begins. In Ottoline, the text describes where Ottoline lives, on which floor and the type of building. The illustration cleverly shows all the other buildings around Ottoline’s, giving it context and detail. It also begs the question, if she lives on the 24th floor, why does the illustration not show 24 floors? 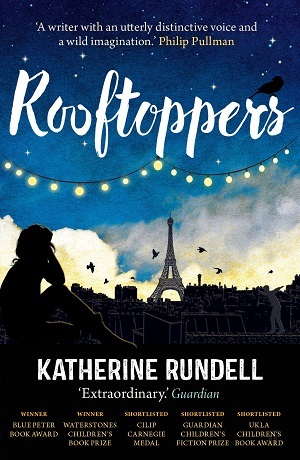 Inside the apartment, Instead of writing all the marvellous things that Ottoline’s parents have collected, Chris chooses to draw them –so the reader is left to study each one and work out what it is – then they use their own descriptive powers and vocabulary to respond to it. Pictures help to illuminate characters: Not just from the artist drawing them but by the artist giving more information than you would glean from the text. They add another layer of understanding rather than reinforcing your impression. Nowhere is this more apparent than in Chris Riddell’s portrayal of Mr Monroe, described in text as small and hairy and not liking the rain. Although you may expect him to be a fully formed adult human being as befits someone living with (and hopefully taking care of) a girl, the pictures show something quite different. It gives the entire story a different perspective. As do the drawings of Ottoline – one minute an everyday child wearing a hoodie, the next dressed in a Mongolian dressing gown. In Oliver, Sarah MacIntyre’s drawing of Iris the mermaid is inspired. The detail in the illustration belies more personality than you would think possible. The pictures of comical characters are helping the reader to interpret and understand visual metaphor, and in particular, irony. What can you interpret from a facial expression? They develop plot themselves. In Ottoline, the progress of the cat burglar through the town is told in pictures while Mr Munroe’s progress is simultaneously told in both text and pictures. When the cat is caught, the illustration of the bear is very telling – the text simply says “The bear caught her in a big bear hug”, the picture shows much more about the hug! They help to provide mood. This can be adding comic elements, or perhaps just creating an impression of darkness or sadness. This is something that children are only just learning – as it’s more of a feeling than a physical description. It can be hard to portray. The Ottoline pictures of the city give an impression of a deserted place with an element of mystery and fear. (see the shadowing/the light/tall buildings). Whereas the comical illustrations in Oliver and the Seawigs, despite all the danger Oliver is in, give tones of adventure, mystery, unexpected surprises and fun rather than darkness. Particularly the sea monkeys. You must find a copy and see them! They can give a different viewpoint from that given in the text. Oliver and the Seawigs is written from Oliver’s point of view. So, without the illustrations, we wouldn’t be able to see the face of the Rambling Isle on which Oliver sits – by the fact that he is sitting on its head, and can only see so much by peering over the top. Our omniscient illustrator shows us what lies beneath the surface. Pictures expand on the imaginative creative process. In the same way as you use your own life experiences to mentally picture what’s happening in a story that you read, so you can use the pictures provided in the same way. Just like text, they are a starting point from which to jump off – what might happen next? What colours would you add to the black and white, or one tone illustrations? What extra details would you add? Even the page numbers are illustrated differently in Ottoline, which prompts questions as to why. Pictures assist struggling readers. Of course, for struggling readers, pictures are hugely helpful. They can extrapolate buried meaning, explain difficult vocabulary, and give visual clues to what’s happening in the story. In Oliver, Philip Reeve describes “two big glass globes dangled in cradles of knotted rope, like earrings, or baubles on a Christmas tree.” His text description itself is wonderful, but Sarah provides a beautifully detailed illustration to help the reader. Barnacled rails, megaphones and all sorts of difficult words are illustrated too. Pictures are our aesthetic way into creative text Lastly of course, pictures provide and inspire a love of the visual. They make the book more interactive. Illustrations give us an aesthetic appreciation of books, they introduce us to an appreciation of art and creativity. Many of my fellow booklovers have been known to stroke a book for the beauty of its cover…the illustrations play such a huge part in this. I feel like I’ve only highlighted the icing on the cake, but I’m hoping you’ll see for yourself in the books when you read them. Encourage children to race through the books with searing excitement by all means, but also encourage them to spend some time imbibing the wonder of the illustrations. I would urge all adults to embrace the narrative – whether it’s told by text or illustration or both. Illustrated books, comics, graphic novels can all be scintillating ways into literature for children, all can help with developing understanding of narrative, inspiring children’s creativity, and sparking a love for books. 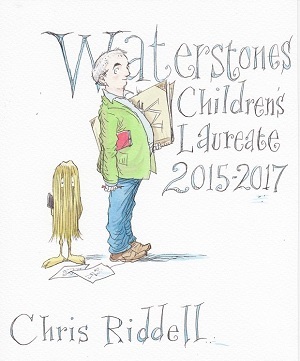 Chris Riddell wants to promote visual literacy – if we all carried a sketchbook as he suggests, we might all take in more of the world around us – the excitement outside our windows. Chris said yesterday, ‘I write because I want to give myself things to illustrate’. I implore you to let your children pour over the illustrations in the same way as they pour over the text. The two are intertwined.